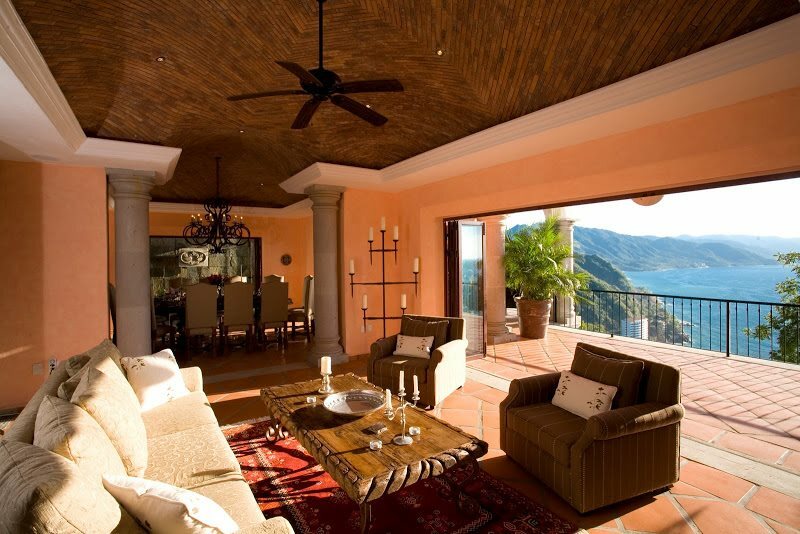 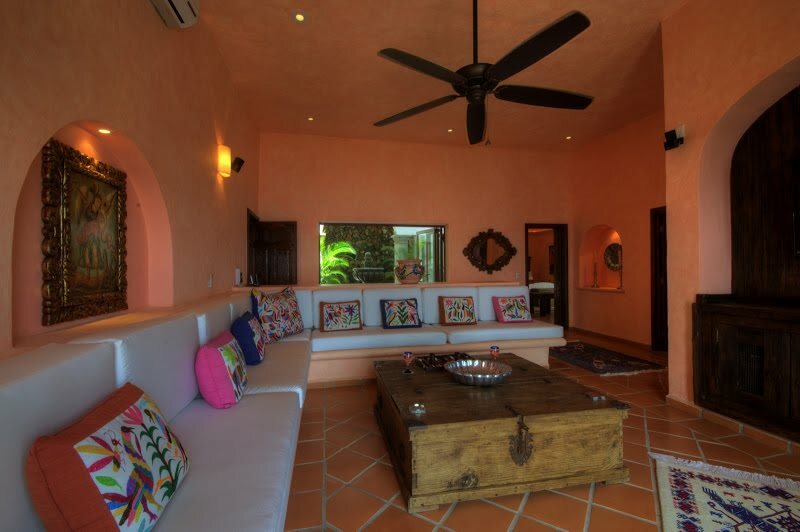 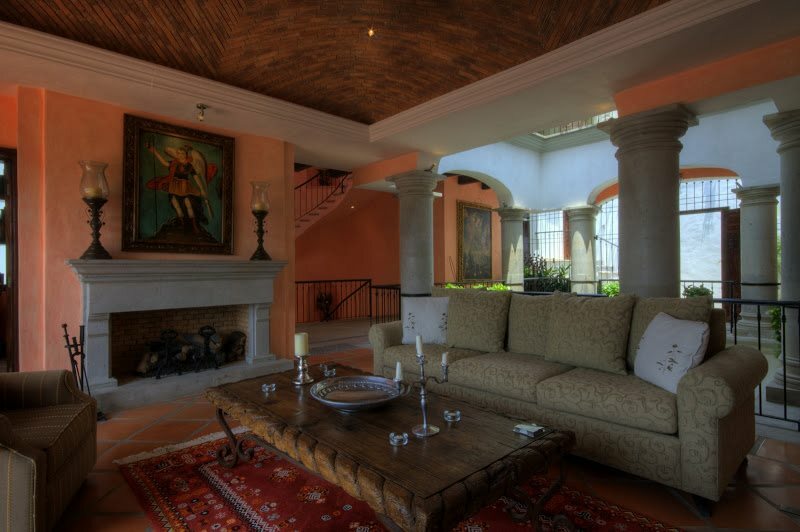 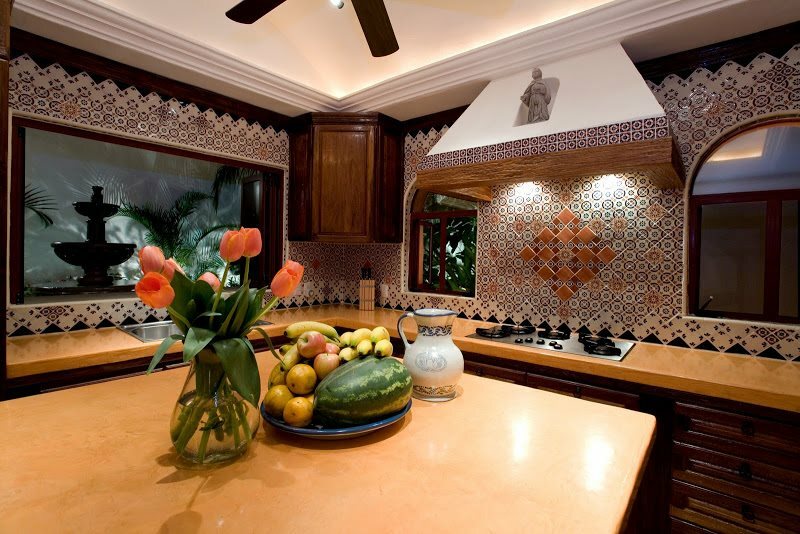 Built on four levels around a central courtyard, the house has approximately 10,000 square feet of living area with spectacular views overlooking the Bay of Banderas. 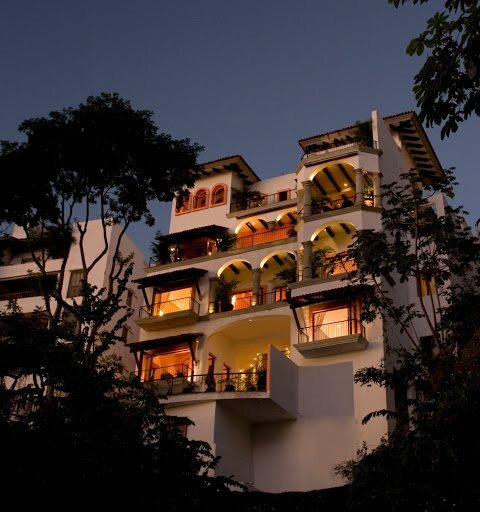 The infinity pool, dramatic winding staircase, hacienda-style iron chandeliers, multiple fountains and weeping walls, brick bovedas, high-beamed ceilings, fully-equipped exercise gym, large media/entertainment room and full-time staff will satisfy the expectations of the most discriminating of travelers. 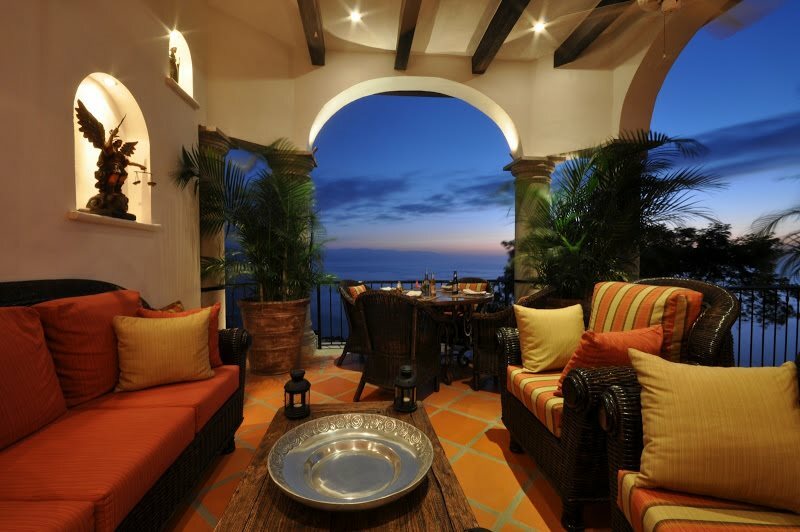 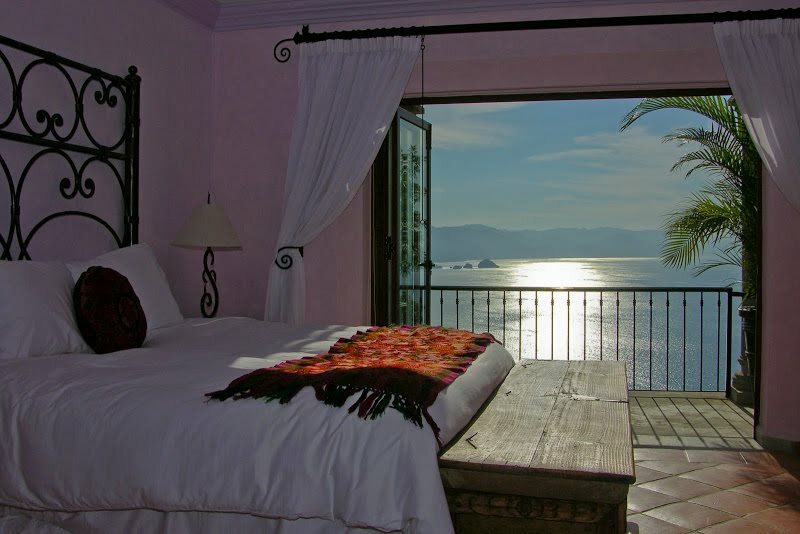 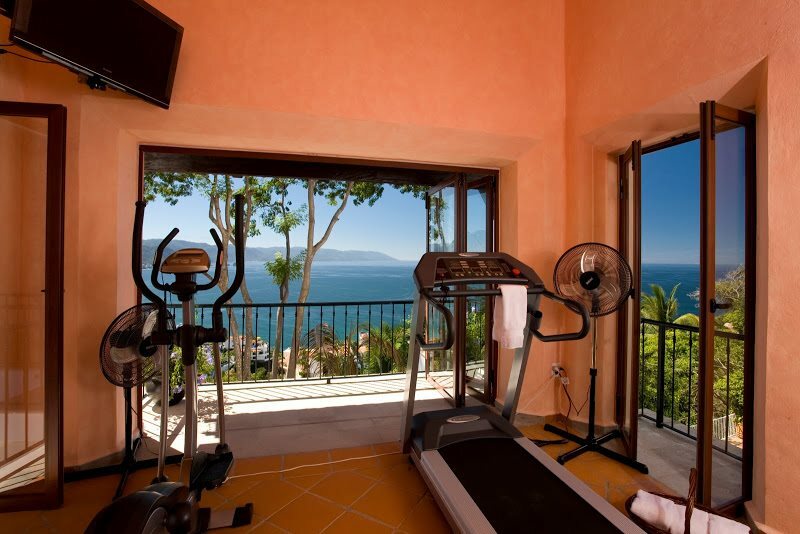 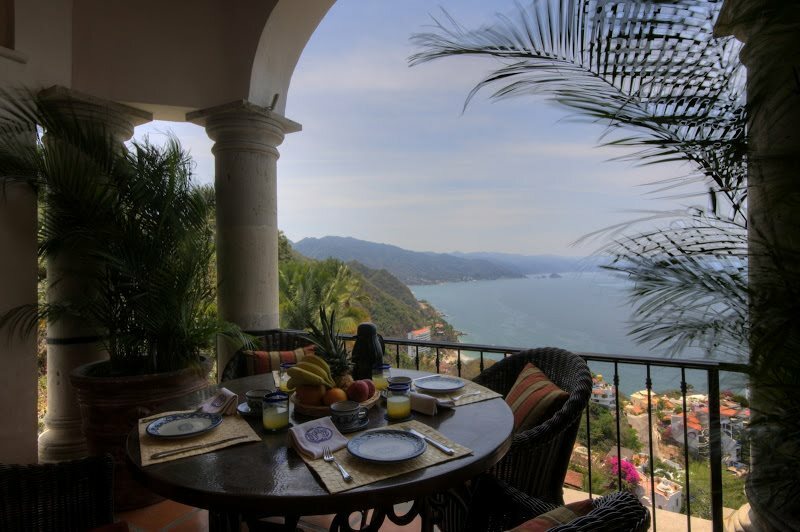 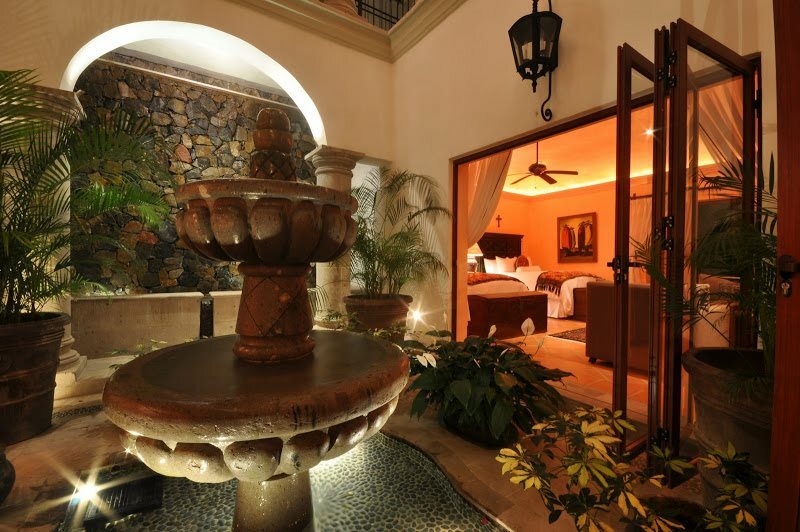 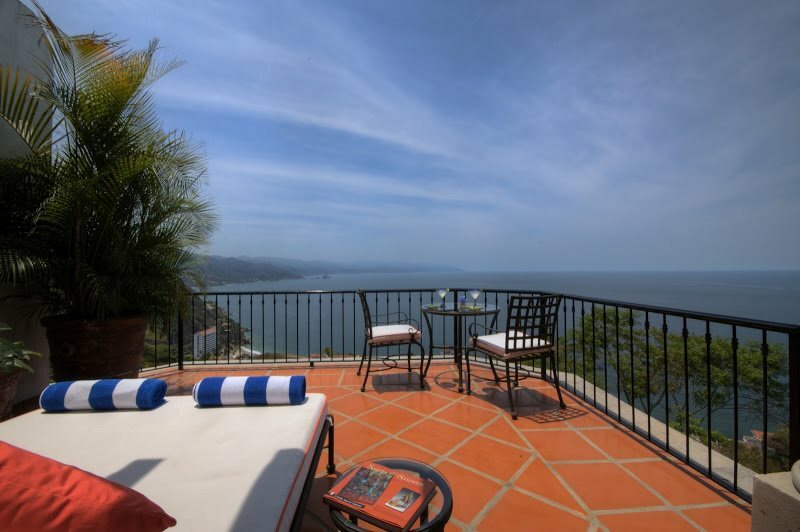 From any one of several terraces or balconies, you will find awe inspiring panoramic views of the Bay of Banderas framed by colonial period Mexican arches, antique furniture and art. 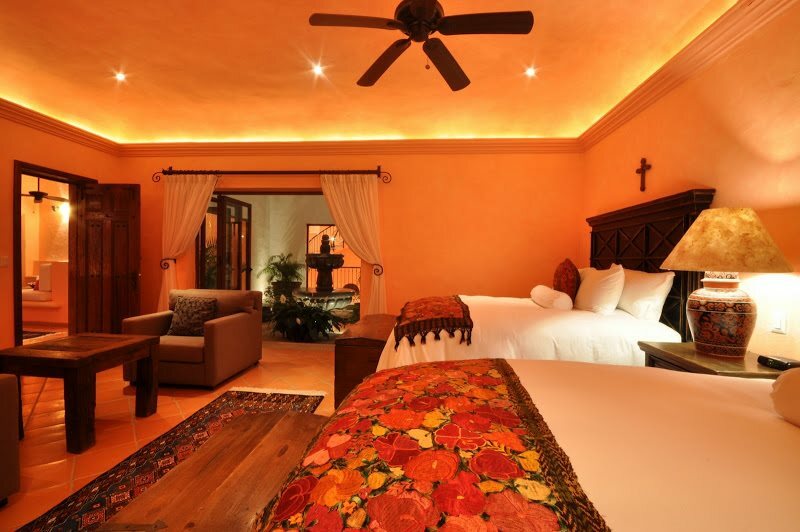 All bedrooms are air conditioned with ceiling fans. 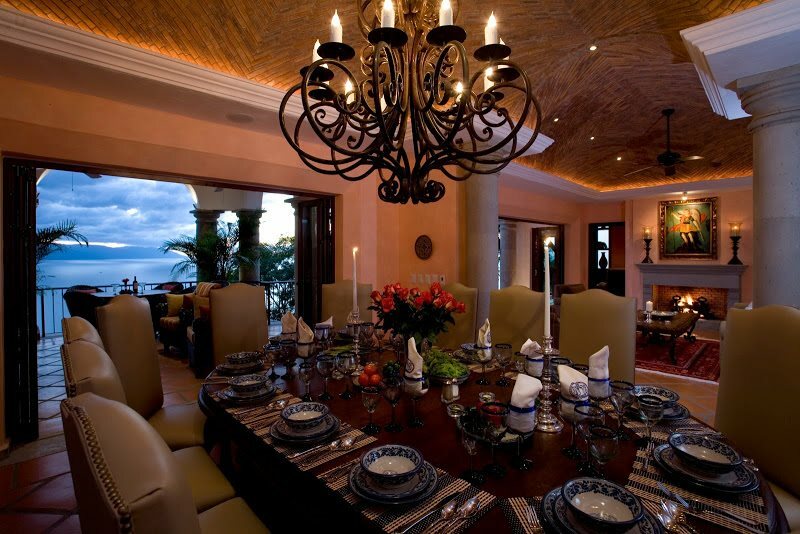 The dining room comfortably seats up to twelve people and the house contains a total of twelve rooms that provide bountiful areas to socialize in large groups as well as smaller spaces for more intimate gatherings. 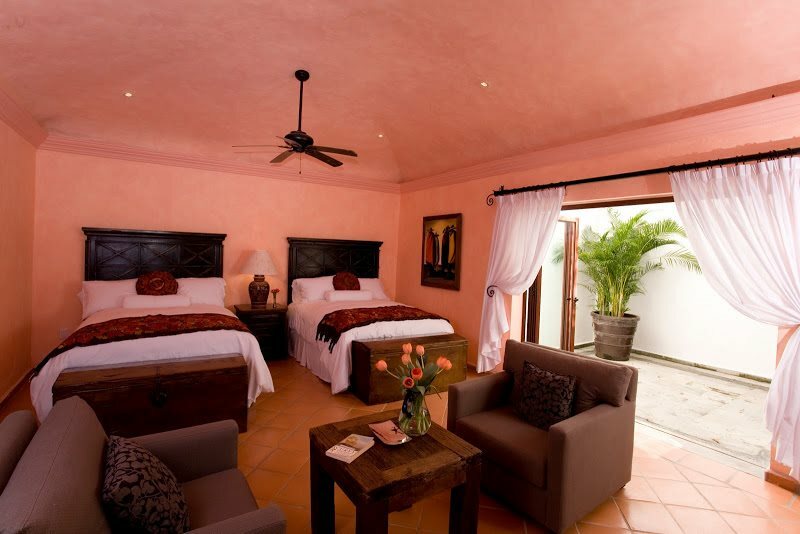 A restful stay is assured by a complete full-time staff including cook, housemaid and butler. 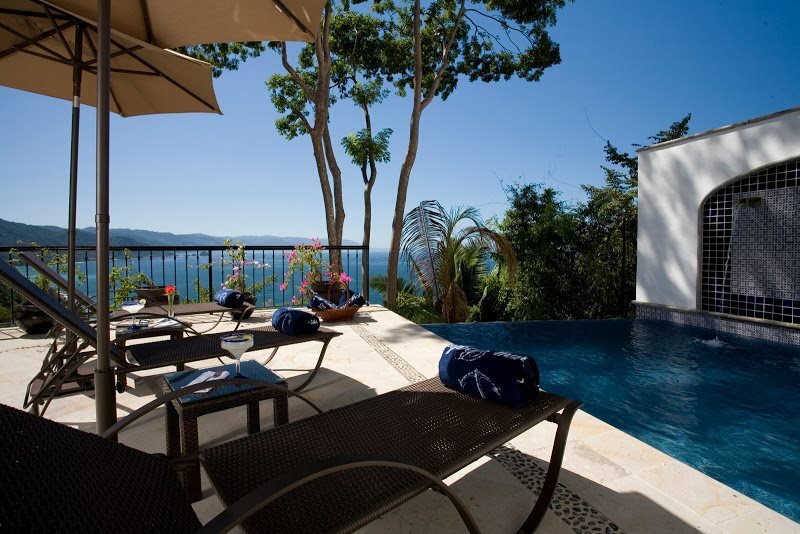 The large open layout with multiple terraces easily accommodates wedding parties and business events in an elegant hacienda setting reminiscent of the colonial period juxtaposed against stunning views of the Bay of Banderas which combine for unforgettable, once-in-a-lifetime events. 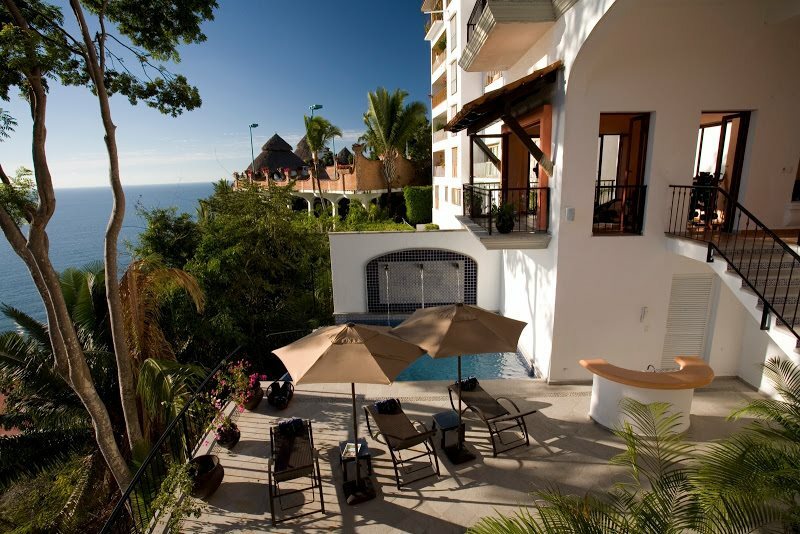 Round Trip Airport Transfer is included (Not during holidays). 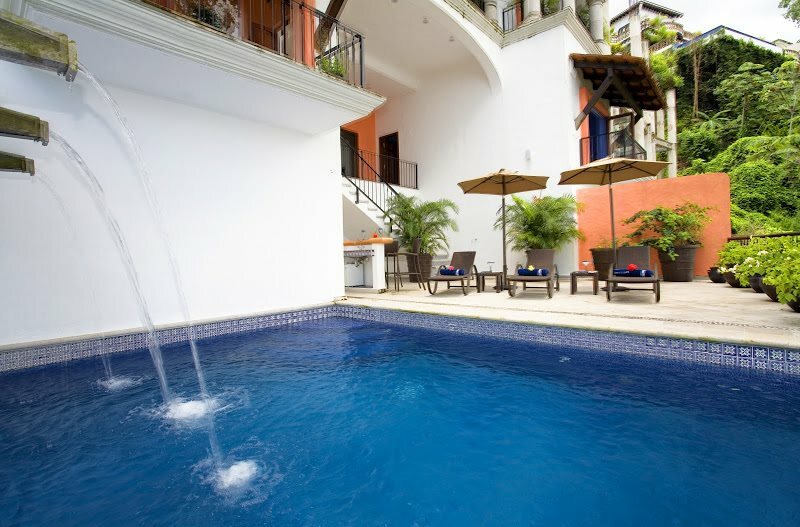 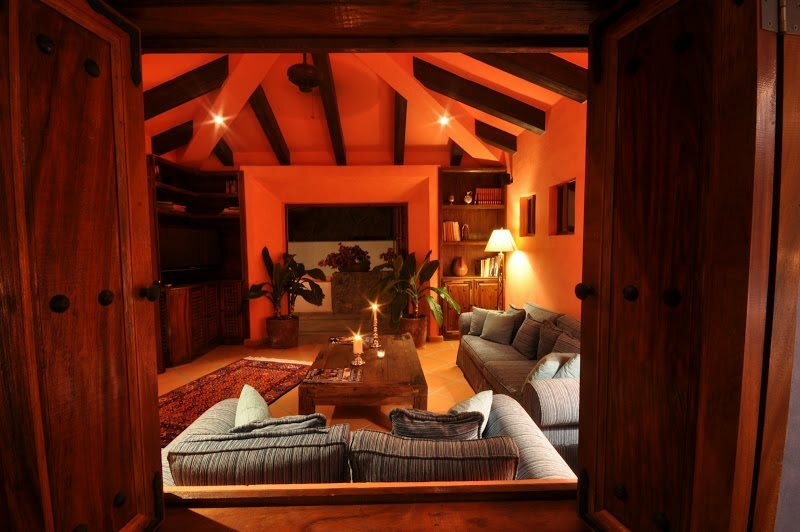 NOTE: Rates shown are for three bedroom rental, up to 6 guests.